I wasn’t sure what to expect with More Than This. It seemed really promising but I found the description to be pretty vague and the only reason I read it so soon after buying it was because I randomly picked a number and it was that number in my Kobo. I’m glad I read it because I really did enjoy it! While this book begins with the characters in high school, I would classify it as New Adult for two reasons: 1) part of the story does take place when they are in college and 2) the characters are extremely mature for their age. Having mature characters really helps make a story more enjoyable–especially when it is on the cusp of being Young Adult/New Adult. 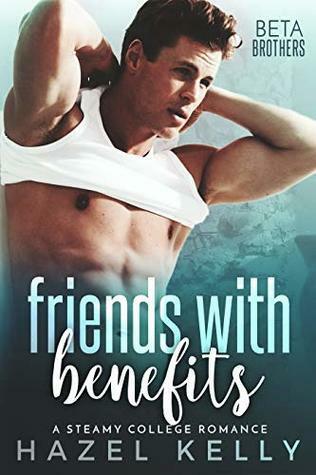 This book did a great job at pumping me for Logan’s story in More than Her and I’m glad the next book focused on a different set of characters because I couldn’t take another Mikayla and Jake novel–they had their time and I don’t want it expanded upon. I had certain expectations for More than Her based on the ending of More than This but I was happy that the book didn’t go in the direction I feared. I actually liked this book a lot more than More than This for quite a few reasons. One is Logan and his love interest. I thought they were a great fit for each other and I liked the flashbacks where they first met–though I did find the time shifting confused me at time but I eventually figured out the timeline. While I didn’t enjoy the back and forth nature of their relationship at times, I could understand why they were always hesitant more so than Mikayla and Jake. I also liked the plot twists a lot more in this book and I’m so glad that February is only a short month away because I can’t wait to get off of the cliff-hanger this book leaves everyone with–though I admit I am a little worried to take the plunge because I have no idea where this book is going to go. I’m excited for the next two books in the series. While More than Him is a continuation of Logan’s story, I’m super excited to read about Lucy and Cam’s and I hope that Dylan and Heidi get a book too though nothing seems to be planned. My only complaint about this series so far is the lack of a proof-reader. I felt like there were quite a few typos that could have been avoided with a quick peruse and some reformatting of the eBook. Overall though, the typos aren’t enough to make anyone quit reading. Despite being super excited to read, More than Him, I just managed to actually read it (I blame Kobo for not having it for purchase until a few months after its release.) Because I didn’t write a summary for it, I was a little lost in everything that happened but a quick skim of More Than Her as well as mini recaps within the book quickly solved that. I think I had tears in my eyes for the entire book–it was a heart-breaker to read at times that is for sure! Though I can’t explain it, but I feel like something was missing from this book a little. Don’t get me wrong, I loved reading it and think it was a great followup overall. When I compare it to its previous book I think what I am missing is the crazy plot twists. Instead, this book focuses on the aftermath and healing of those twists and doesn’t really introduce anything new in terms of drama. More than Forever is probably the book everyone who has read this series has been waiting for since the start. This novel was everything I thought it would be and more. I laughed, I cried and sighed my entire way through the book. While first love stories usually give me a cavity, this one was just right. Just well done through and through. More than Enough can’t get here fast enough! I just hope its about the two characters I think it’s about! I waited and waited for this book to come onto Kobo but it never did. So when I had my trial for Kindle Unlimited, this was the first book I grabbed! While this wasn’t the story I expected, I did really enjoy it. I’m a little torn over the story. I’ll admit, I had to warm up to it and get over my disappointment. But I did and I really started to like these two together. Unfortunately, it got to be a little too much for me at the end. What started fast and furious became a little slower near the halfway point. While I like what the latter half of the story explored, it did drag a bit for me. But overall, a fantastic way to end this series and wrap up all these characters stories. This series reminded me a lot of Wanted by Kelly Elliot but better executed. It features mature characters, great romances and some hot drama that keeps this books interesting and pulls you in. One of the best New Adult series I have read in awhile!